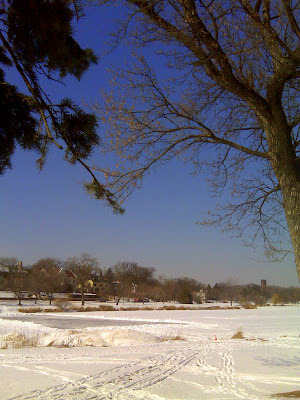 I was showing homes last week around Lake of the Isles in Minneapolis and noticed the ice rink on the Lake, created by clearing off the layer of snow. For those of you who don’t have raging hockey fans where you live (or frozen lakes, for that matter), it is quite a common practice here in Minnesota. Some people even bring hockey nets out onto the ice to make it more playable. It costs a lot to rent ice at a formal rink, so we just go and use the ice mother nature creates for free!